The icon for Smash World has appeared on the Nintendo Switch Online app. While the service is still under maintenance, we can at least confirm that it will appear without a software update! The version 3.0 update for Smash Ultimate is available. This update includes access to Joker, the Stage Builder and tons more. That being said, the update is suffering from communation errors at the moment, so this could take a while! Note: The Smash World service is planned to begin after the distribution of Ver. 3.0.0. If you still don't see Smash World in your list of services, please try again later. For information about the details of fixes and changes to fighters, read the Super Smash Bros. Ultimate Update Ver. 3.0.0 fighter adjustments. Itsuno continues by saying ''Tell her! ''and kindly gestures to a Capcom UK representative. Who knows? With the right amount of feedback, we could see a Devil May Cry game on a Nintendo system at some point! According to amiibo Alerts, an anonymous user posted a picture of a Japanese booklet that contains pictures of the upcoming Pokemon Trainer and Snake amiibo figures. Simon, Richter, and Dark Samus also have amiibo placeholder slots. Interestingly, Squirtle and Ivysaur also have their own amiibo placeholder slots despite the fact that Super Smash Bros. categorizes these fighters under Pokemon Trainer's character slot. However, the source of this picture and the origin of this booklet is currently unknown. Regardless, it should not be long before official information regarding the next wave of Super Smash Bros. amiibo is announced. 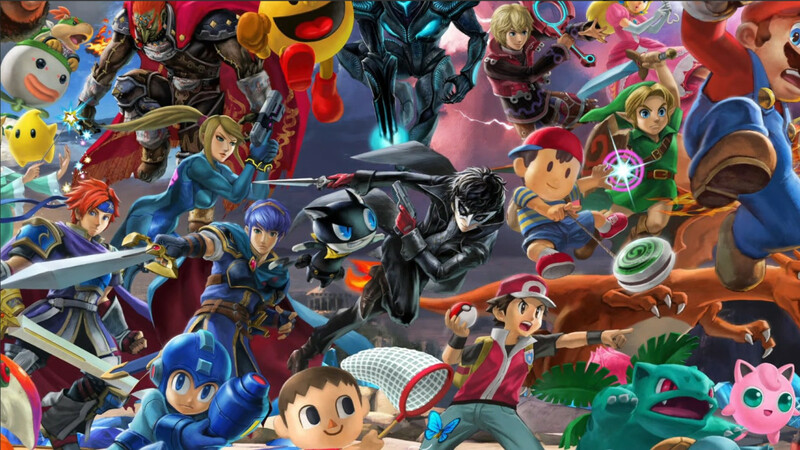 The three-day Super #SmashBrosUltimate spirits event, "Double EXP and SP! ", is now on!